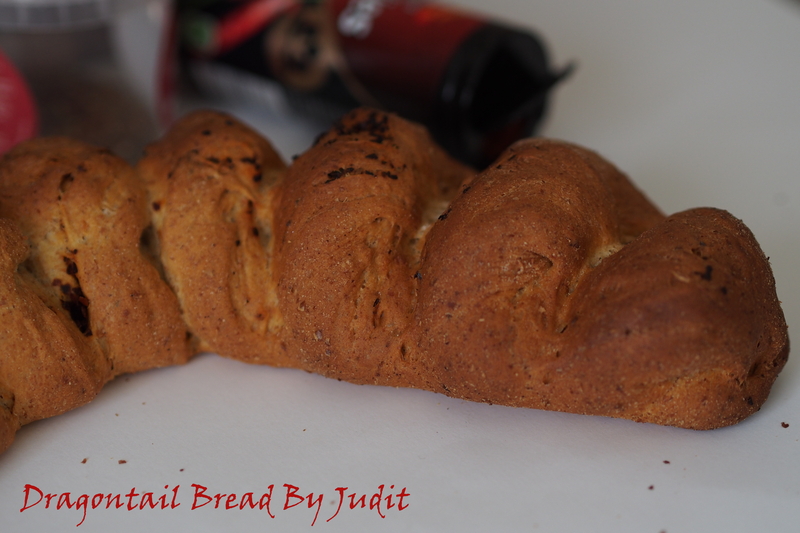 Fierce and Fiery: Einkorn and Chili Dragontail Bread | When Judit bakes...bread and better..
Baguettes are long thin loaves of bread popular in Europe. Usually, they are made of white bread having a hard crust on the outside but soft crumb on the inside. French traditions say that bread may only contain the following four things: flour, water, yeast and salt. Anything containing more than those things must not be called bread. 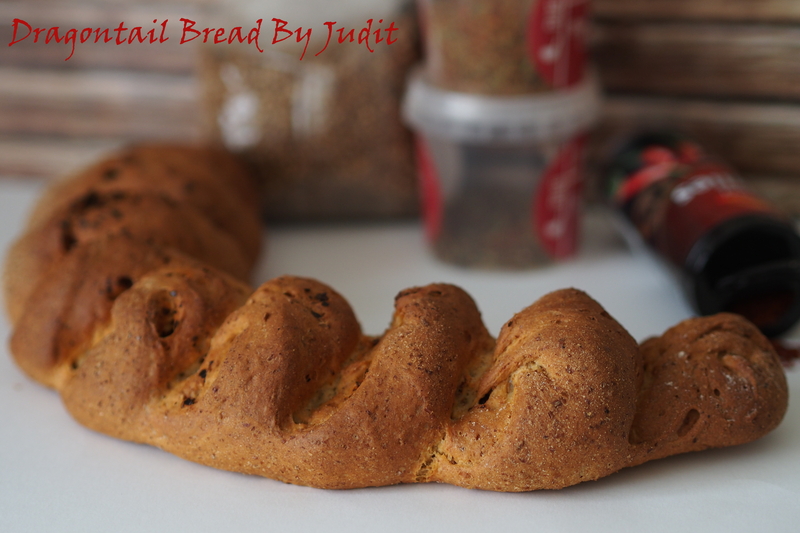 The dragon tail baguette is an extension to the original french bread but the simple styling gives a different and fascinating look to any bread basket. The dragon tail is made in the same way as the épi, except, rather than rotating the cut pieces, the tip of each is folded back over the body, away from the cut surface. The day before baking prepare the starter. In a bowl, combine the ingredients, mix well, cover and let ferment for 12 – 15 hours, or overnight, until really bubbly. In the bowl combine all of the final dough ingredients. Mix on low-speed to incorporate the ingredients, to achieve a medium soft dough consistency. Continue kneading on oiled surface to create a good level of gluten development. Transfer the dough to a lightly oiled container. Cover and ferment at room temperature for about 2 hours. Turn the dough into a lightly floured counter and divide to two pieces. Shape each piece into a long sausage, then cover, and let rest for 20 – 30 minutes. Shape the dough into baguettes and place them on parchment or silicon baking sheet. Leave to proof again for the second time, covered, for about 30 minutes. 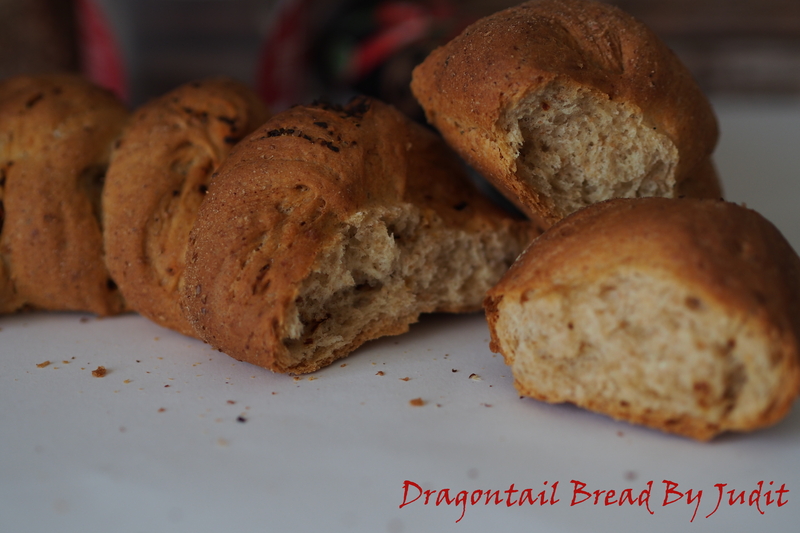 Meanwhile, pre-heat the oven to 220º C.
Just before baking, make the dragon tails by using a sharp kitchen scissors making an angled cut 2/3 deep in the baguette, pulling the top of the cut to tuck in the front (technically backwards, in an opposite angle to the cut). Bake for 30 minutes, then turn off the oven and leave the loaves in for another 5 minutes, with the door ajar, to let the loaves dry for a crisp crust. Cool on a wire rack. 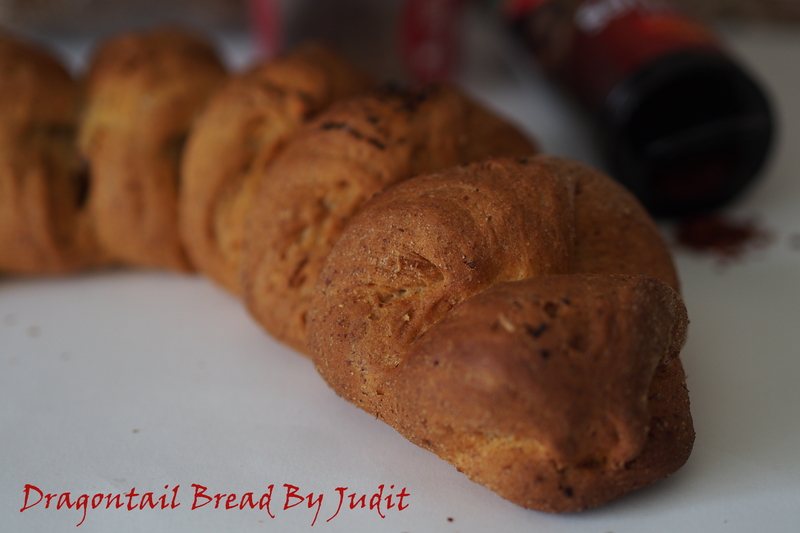 This entry was posted in Baked treats, Bread, Just Everything, Long fermentation, Savoury bakes, Special flours and flavours, Treats for Life, Yeasted bread and tagged french traditions, hard crust, j r r tolkien. Bookmark the permalink. 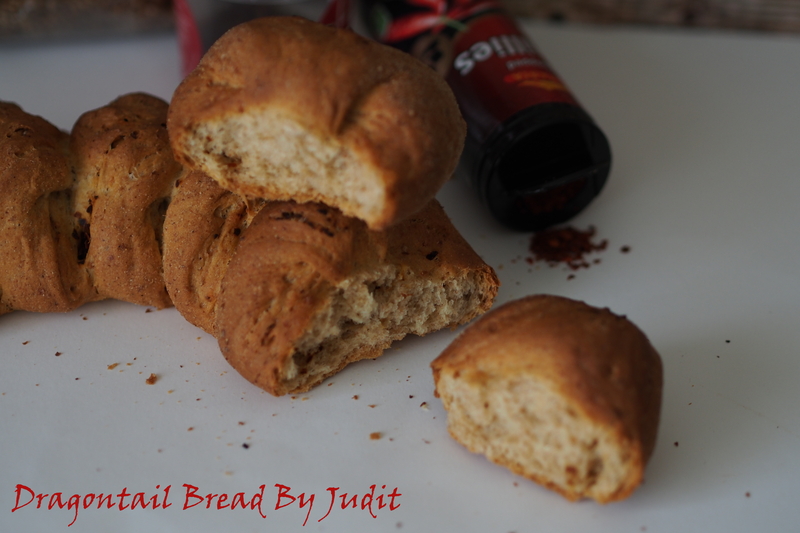 This bread sounds and looks delicious, and very interesting as well! 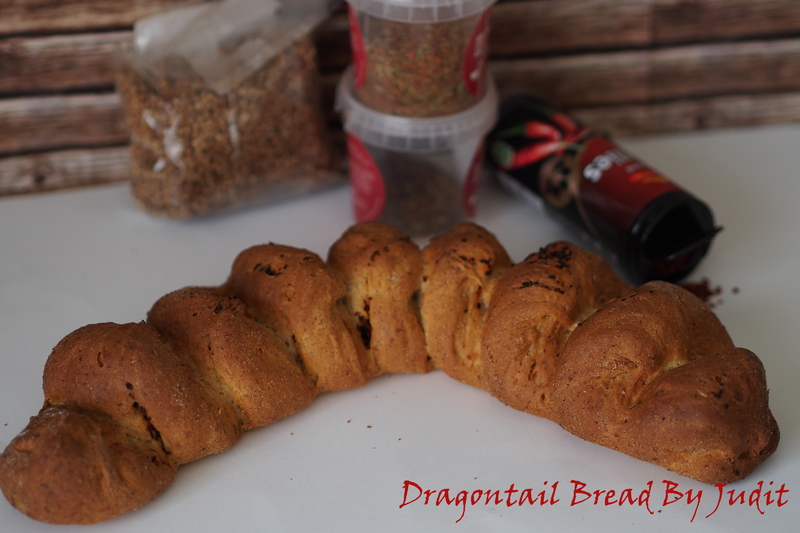 Never had a dragontail bread before, will have to give this a try sometime! It is a cheeky name for a relatively simple but effective bread forming technique, I will try to create a video to aid copying 😉 J. 🙂 You see? How could I not…J. Randall, so here is another one for you, my, too, dragon-lover fellow: “But it is one thing to read about dragons and another to meet them.” (Ursula K. Le Guin, A Wizard of Earthsea)…;-) J.